This extremely successful novel was published in 2012 since then over 5 million people have read it. Anyone who's read WONDER by R.J. Palacio has fallen in love with Auggie Pullman, an ordinary boy with an extraordinary face. A very moving film based on the book was relased in December 2017 starring Julia Roberts, Owen Wilson and Jacop Tremblay. Since he he had to spend most of his life in hospitals, Auggie, was homeschooled by his mother. In addition to his facial difference, Auggie has got other problems: he thinks people who meet him don't consider him as an ordinary kid and he doesn’t want other kids to stare at his face. These are his great fears. When the story starts, 10-year-old Aggie is terrified because he has to go to school for the first time in his life. Will he overcome his fears? Will he meet people who can accept him? While I was watching this film, I’ve noticed four very important messages. · Friendship: true friendship is very difficult to find but when you have it, you have to keep it as a treasure. 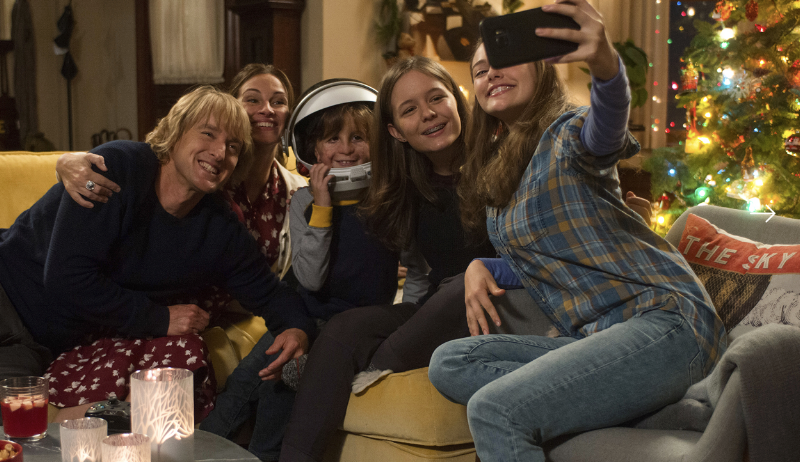 · Love between parents and children: Auggie’s parents are always by his side to help him face his life. He suffers because of his facial difference but his parents tell him: “you are beautiful as you are.” And isn’t this the most important thing? To have near you people that love you a lot and accept you just the way you are? · The teachers’ role: in Wonder teachers have a fundamental role. They want to help children who are the victims of bullies and they try to speak both with the victims and with the bullies to solve the conflictual situation. It is very important, because in this way children feel safe and protected by adults. · What is different from us makes us better: in Auggie’s school, children are different because of the colour of their skin, their aspect, their feelings, their attitudes etc. but they are friends in spite of all these differences. They learn how to accept each other because someone who’s different from you is a wealth that makes you “richer” and a better person. Auggie's story underlines how important is to have a TRUE friend… not only for a kid, but for everybody. People should learn not to judge a person for his appearance. Have you seen this movie? If you have, what do you think about it? If you have not seen it yet, would you like to see it?